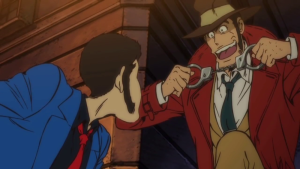 Lupin the 3rd: Part IV Home Video Release Details. Ltd Collector's Ed. Blu-ray arriving on 28th May 2018. 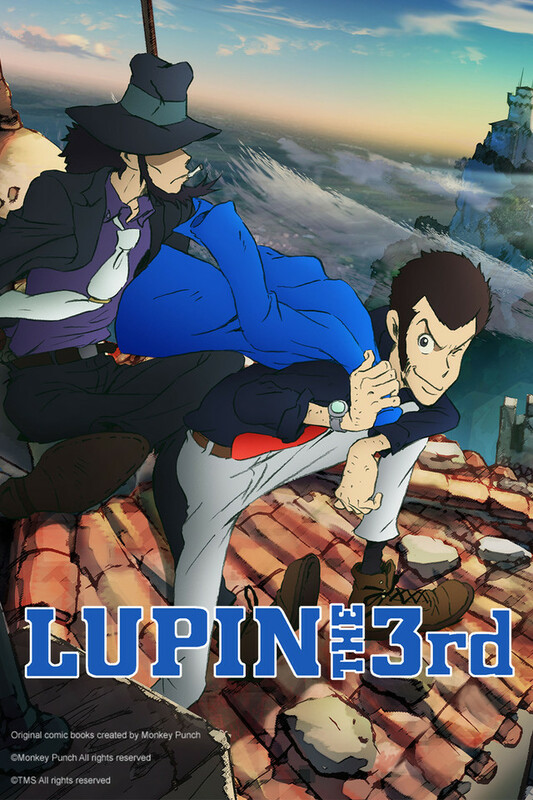 Following our recent announcement that we’ve acquired the new Lupin the 3rd Part 5 series – which you can watch weekly at Crunchyroll – we mentioned there would be details about our upcoming home video release of Lupin the 3rd Part IV (aka Lupin the 3rd: The Italian Adventure) on 28th May 2018. Well, today is the the day we fill you in on the details of what to expect, plus some other important details you should know about this release too. WHAT’S PLANNED FOR THE Ltd. Collector’s Ed. Blu-ray RELEASE? That about wraps up this post! We hope you’re excited about adding this series to your collection! 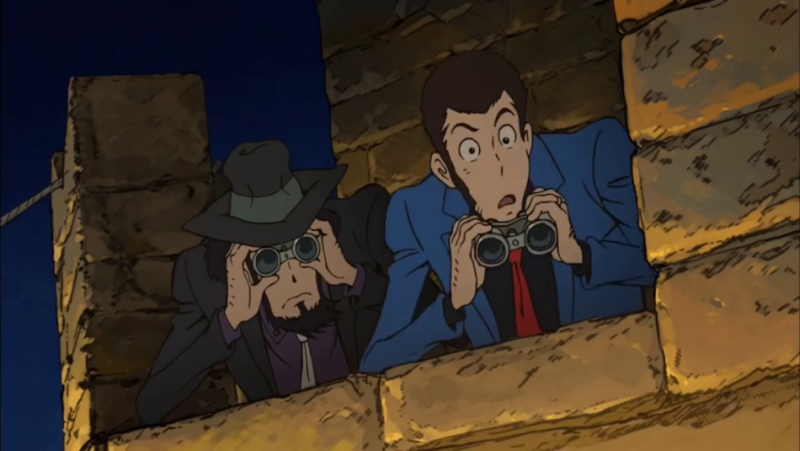 It’ll be the first time that an entire Lupin the 3rd series has been released in the United Kingdom on home video, and we’re very excited to give fans the opportunity to own a piece of this franchise. Obviously once we can update you and share more details on the English dub standard ed. Blu-ray, we’ll be sure to do so – as always, watch this space. Im sorry but I never heard so much BS for not including the English audio track. its called “Putting in the effort”. Therefore im cancelling my preorder on base.com despite this looking like a nice release. 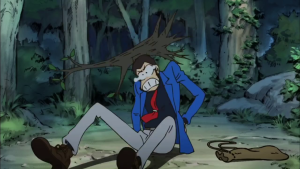 Im sorry AlltheAnime but this is just dumb. Like with Durarara S2 not including the OVA’s for some reason. Agreed. It doesn’t look good to mess fans around like this. Especially when they would have got the English audio as part of the license. 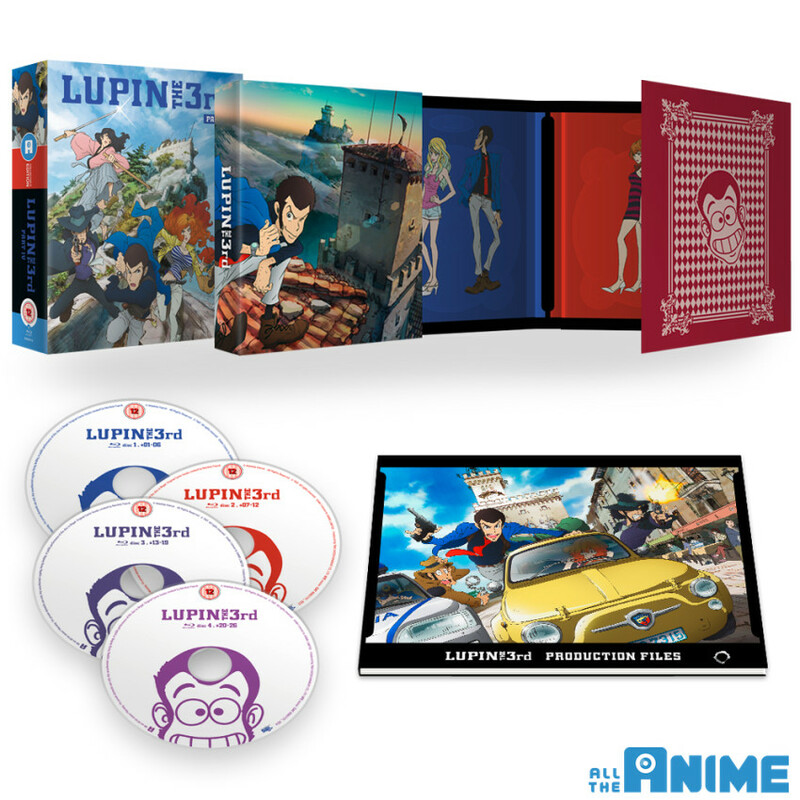 To be clear in case there’s been some confusion here, we *are* releasing Lupin the 3rd Part 4 with its English dub track, albeit as a separate Standard Edition which will be available at a relatively low cost to anyone who wishes to “upgrade” their Collector’s Edition if they purchase it from us. As we’ve outlined in detail in the blog post, this is a very unique situation which has led to us taking the decision in question for our release strategy. Normally, including both Japanese and English audio is no problem at all, but due to the entirely different video assets used for the Japanese and international editions of the series there’s simply no way to include both editions on a single set of discs, meaning that our only options were to create a single release that would be completely cost prohibitive for most potential buyers (as production and manufacturing costs would have increased sharply as a result), or do as we have done and offer two separate releases to fit most customer’s desires. This decision came at the end of lots of pain-staking discussions about how to best serve our customers in these unique circumstances, and it was decided that this was the best option open to us after taking everything into consideration. We can only apologise if people are frustrated or disappointed by this, but we’ve done everything that we can to serve all of our customers in the most comprehensive way possible. The “lowcost” you claim on the all the anime store is a fantasy. a retail price which was for me 52 euro(about roughly 43 pounds. 43 pounds versus 70 pounds at alltheanime store+10 pounds international shipping. And then when i wanna upgrade it for 10 pounds i need to pay another 10 pounds for shipping. So roughly 100 pounds (about 110-120 euro for the release i want). Im sorry but that is to much. I dont like to pay double. I mean i love collecting anime but to me its a “rip-off” that i need to pay for 2 sets …. It’s worth noting that when we start taking pre-orders our Collector’s Edition will be available at a lower price that it’s currently listing for (and as noted in this article, look out for a special offer on the title when we launch it for pre-order), which will shave at least some costs off compared to those you quoted. It’s also worth noting that to include both the dubbed and subtitled editions of the series within a single Collector’s Edition would have increased costs more for all of our customers than providing these two editions separately with an “upgrade” programme available, which is ultimately why we took the decision we did. As mentioned, we’ve done everything we can to serve our customers in the best way possible, but apologies again for any disappointment. Amazing to see people complain about not having the sub and dub in the same release when it’s been explained time and time again, also in regards to the US release, why it simply can’t happen. I for one am really glad I’ll be able to buy this series at all and that so much effort has gone into this release. I think it was actually Tokyo Movie Shinsha that screwed the fans over this time, not any domestic licensor (living in the States, I was pretty angry at Discotek, but it’s mostly passed). If it’s any consolation, Part V only has one music soundtrack, by Yuji Ono. At least All The Anime took the time to make this FAQ, which is more than what Discotek did over here. It is a shame, though, having to choose between the two versions, especially when Richard Epcar directed a pretty solid dub with most of the red jacket series cast back. But without Ono’s music, I can’t really support it.